Today is the day of the Autumn Statement in the UK. Two important things happened at Westminster. The first one was PM's statement. Theresa May said there will be no other referendum, because British people have already decided what to do. Another crucial thing was Chancellor's statement. Phillip Hammond said Conservatives will increase the personal allowance to £12,500 before the next general election in the UK. 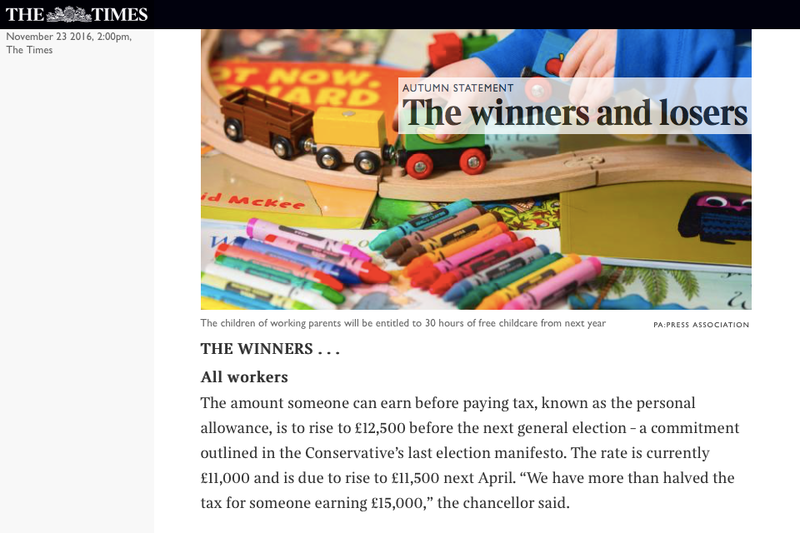 The Times says all workers are winners. We say true but first of all do win people who voted to leave the EU. Looks like UKIP voters are Conservatives' real key to win next general election. About 3.5M votes means too much these days in front of the rising power of new Labour.